Since launching in 2009, Weibo has steadily become China's most well known social network, but originally it was little more than a Twitter doppelgänger. In 2014, the platform actually went public in the US, and while there's no danger of Weibo taking business away from Twitter (for now), it's about to overtake it in one very key area: monthly active users. Their most recent financial report revealed that the site receives 313 million users each month, and if their 30% annual growth rate remains consistent, they'll soon blow past Twitter, who currently get 319 million monthly active users. Twitter have a far less consistent growth rate, and their financial and technical woes aren't doing it any good. Weibo is also turning a higher profit than Twitter at the moment. Their fourth year-on-year net profit increased by 125% between 2015 and 2016, rising to $43 million. A lot of this increased revenue comes from advertising, and the fact that Weibo is so much more than a Twitter clone now. At launch, the format of Weibo was virtually identical to Twitter, but now it incorporates video and photo posting features, as well as live-streaming, which is currently taking China by storm. 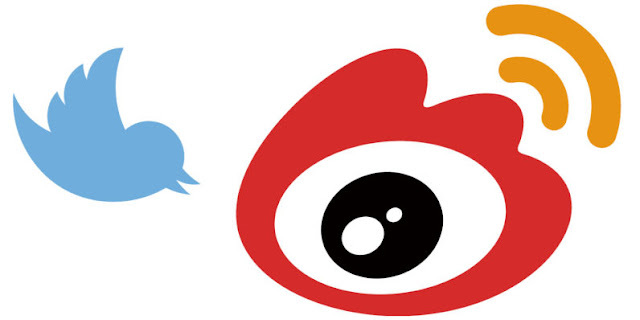 While Twitter has kept their approach more or less the same, Weibo has continually morphed to adhere to rising trends, and done all the better for it. Here's the real kicker - Weibo's stock valuation has gone up by 240% over the past year, while Twitter continues to struggle. Without competitors like Snapchat and Facebook to worry about, Weibo has been able to monopolise huge swaths of not only Chinese culture, but abroad culture. The NFL and Access Hollywood both have live content on Weibo. Of course, Weibo still stands in the shadow of WeChat, which has a rather staggering 846 million monthly active users, and has infiltrated just about every online consumer service China has to offer. In many ways, WeChat is just as great of a success story as Facebook, and it does things that Facebook isn't anywhere close to doing. You can't book flights on Facebook, much less the hotel you'll be staying at on the other side, or the taxi which will take you there. Weibo aren't concerned about things like that, though. The Facebook style approach of trying to build as many services into the platform as possible has been left to WeChat. For Weibo, it's all about creating a service which is attractive to advertisers on almost every possible front, and they're only getting better at it with time.